Harold Bloom argues that Shakespeare “invented the human.” But the reverse is also true: humans invented Shakespeare. And they have done him wrong. Take, for instance, how scholars have criticized Shakespeare’s The Winter’s Tale. For decades they concluded that the great playwright made significant blunders in the play. However, it was the scholars, not Shakespeare, who erred. Scholars accused Shakespeare of ignorance since, according to them, Romano was an architect and painter, but not a sculptor. 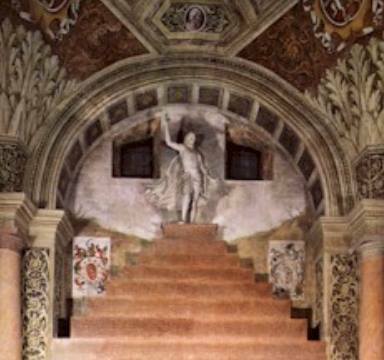 One can still see Romano’s sculpture of the resurrected Christ gracing Baldassare Castiglione’s tomb in Matua, Italy. The scholars were mistaken. In 1873, Karl Elze set things right. 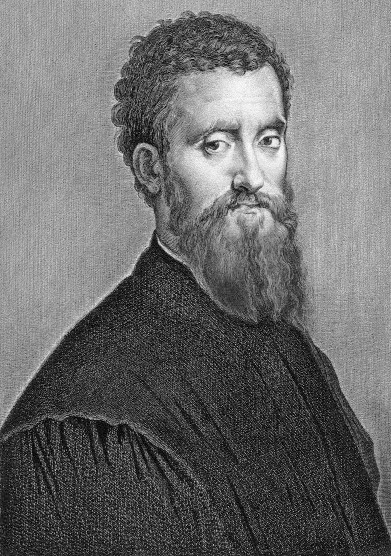 In his Essays On Shakespeare, Elze showed that Giorgio Vasari, an artist and biographer of other 16th century artists, described Romano as a sculptor in the first edition of Lives of the Most Excellent Painters, Sculptors, and Architects, published in 1550. I was thus surprised some weeks ago to find the Wikipedia entry for Romano flat-out stating that Shakespeare incorrectly called him a sculptor (the entry has since been corrected). Also wrong were scholarly conclusions that Shakespeare messed up the geography of The Winter Tale’s setting by giving Bohemia a coastline. As Richard Paul Roe explains in his brilliant book, Shakespeare’s Guide To Italy, the political boundaries of Bohemia once included territory adjacent to the Adriatic Sea. Scholars also said The Winter’s Tale incorrectly places the Oracle of Delphi on an island, when it’s actually located on the mainland of Greece. However, the short scene (Act III, Scene 1) that gives rise to this issue takes place after the characters have already visited the oracle. As Roe explains, the characters in that scene have returned from the oracle and are back in Sicily, and the “temple” they are describing is the Temple of Segesta, not the Oracle of Delphi. Traditional Shakespeare scholarship assumes the Bard was a man from Stratford-upon-Avon whose education was limited to grammar school and who never stepped outside England. This helps explain his “mistakes” about Romano, Bohemia, and Delphi. Perhaps, for whatever reason, Shakespeare feared to be taken in fully by his spouse or by anyone else; perhaps he could not let anyone so completely in; or perhaps he simply made a disastrous mistake, when he was eighteen, and had to live with the consequences as a husband and a writer. Most couples, he may have told himself, are mismatched, even couples marrying for love; you should never marry in haste; a young man should not marry an older woman; a marriage under compulsion—“wedlock force”—is a hell. And perhaps, beyond these, he told himself, in imagining Hamlet and Macbeth, Othello, and The Winter’s Tale, that marital intimacy is dangerous, that the very dream is a threat. Greenblatt is inventing Shakespeare. Nothing in the Stratford man’s known biography supports how Greenblatt reads his mind on the subject of marriage and then grafts the results onto The Winter’s Tale and other plays. These examples of traditional scholarly views of The Winter’s Tale can make one reasonably skeptical of orthodox assumptions about who wrote Shakespeare. Indeed, such skepticism is rising. The University of London has begun offering an online course, “Introduction to Who Wrote Shakespeare,” which challenges those assumptions. At present, The Declaration of Reasonable Doubt About the Identity of William Shakespeare has over 4,000 signatories, which include Shakespearean actors Sir Derek Jacobi, Mark Rylance, Jeremy Irons, and Michael York, and retired Supreme Court Justices Sandra Day O’Connor and John Paul Stevens. In years to come, as the Shakespeare whom humans have invented continues to be challenged and undone, one can expect discussion and analysis of the plays to be less tied to the biography of the Stratford man. One small example: I recently attended a production of The Winter’s Tale at the Folger Theatre, and was pleased to see that the playbill repeated none of the assertions about Shakespeare’s “mistakes.” In fact, the playbill provided no biographical information about Shakespeare at all. ← Shakespeare’s Henry VI, Part 3: Holding a Mirror Up to His Queen (Again)? I agree with you regarding the orthodox representation of Shakespeare, and the way in which the official narrative of his life and work is based on sparse and often contradictory factual resources. On the other hand, orthodox critics also claim that Shakespeare did not make ‘mistakes’ in The Winter’s Tale but that we misunderstand such references. This reinforces the myth of the infallible nature of the true genius. In a sense, some of the most glaring ‘errors’, where plots shift bizarrely, characters are forgotten or become significantly different and themes are replaced almost wholesale at particular points, are the most interesting, as they suggest a likely change of hand, and have the potential to inform the authorship debate, if analysed rigorously.